A character that’s both sophisticated and modern for this table which harmoniously mixes materials, styles and colours. 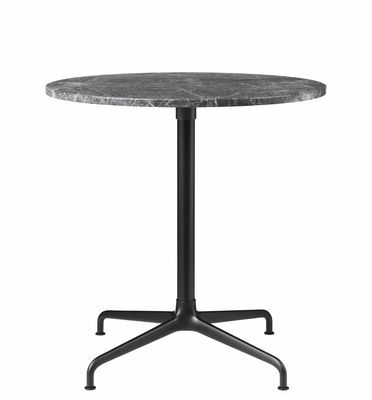 The Beetle table stands out for its superb grey veined marble top. Noble and refined, the top contrasts with the modern style of the slender aluminium base. The two-tone matt black central foot ends with a polished aluminium 4-spoke base. With its simple, light appearance, the Beetle table is ideal for private or public spaces (cafés and restaurants).